Acer rubrum is a medium sized deciduous tree with an upright growth habit. Its variable leaves are light green on the upper surface and whitish on the underside, 3 lobed palmate with serrate margins and up to 10cm long. Its leaves become orange/ red in autumn before they fall. The twigs are reddish in colour and somewhat shiny with small lenticels. The buds are usually blunt with several loose scales, and greenish/red in colour. 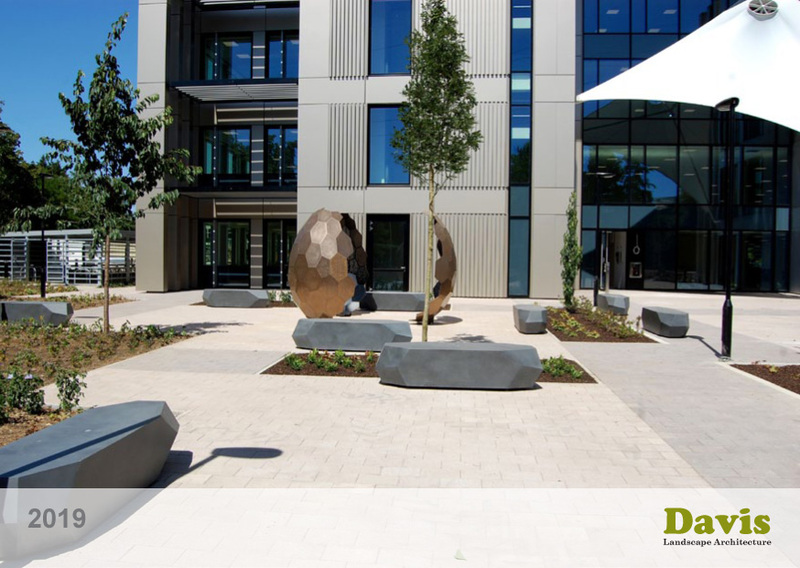 The pale grey bark is smooth when young, becoming darker and cracking into slightly raised long plates with age. 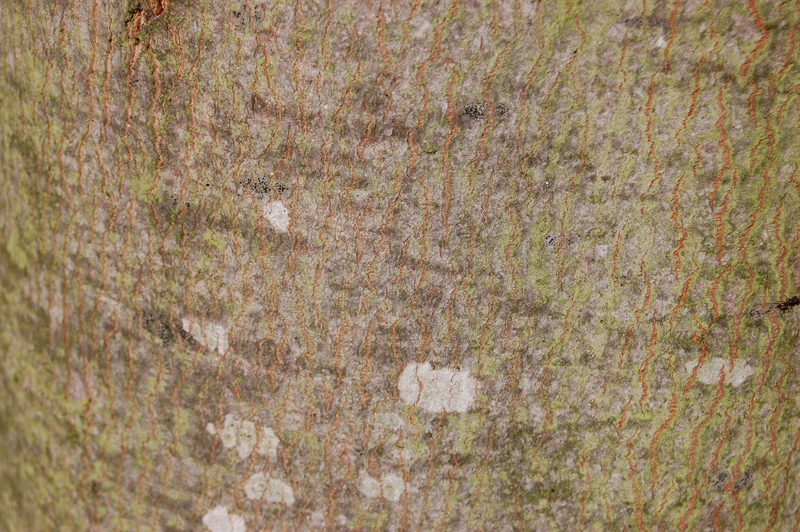 Its trunk of this tree may achieve a diameter of up to 50cm. Its flowers are generally unisexual, with male and female flowers appearing in separate sessile clusters. The flowers are red with 5 small petals and a 5 lobed calyx borne in hanging clusters, usually at the twig tips. The fruit is a double samara and up to 25mm long. They are borne on long slender stems and are variable in colour from light brown to a reddish hue. Acer rubrum, commonly known as the Red Maple or Soft Maple, is one of the most common and widespread deciduous trees of eastern North America. This tree can be found growing in swamps, dry soils and most anywhere in between and grows well from sea level to about 900 m. Acer rubrum seldom lives longer than 150 years. It reaches maturity around at the age of 70 – 80 years. It is used on a small scale commercially for the production of Maple syrup. It was introduced into the UK in 1656 and shortly thereafter it was widely cultivated. The etymological root of the binomial name Acer is derived from the classical Latin name for the Maple. Rubrum is derived from the Latin rubra meaning ‘red’, referring to the flowers, petioles, twigs and seed the autumn colour of this tree. 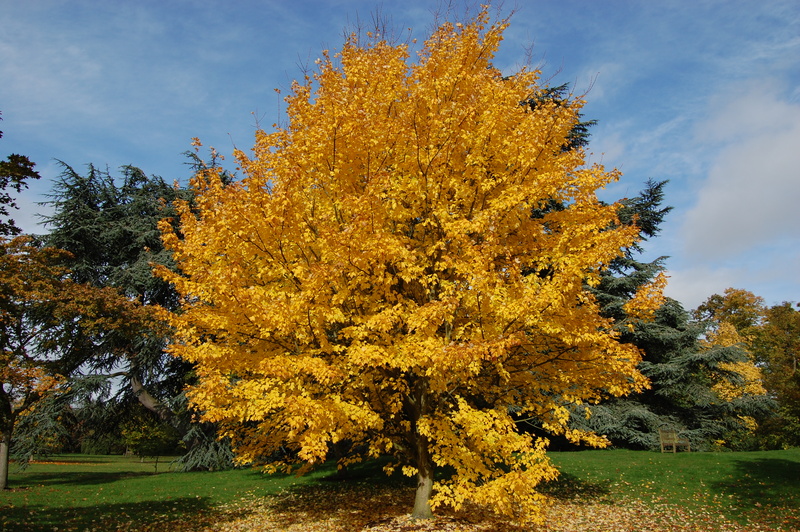 The landscape architect may find Acer rubrum useful as an attractive specimen tree with fantastic autumn leaf colour and is suitable for a parkland setting. 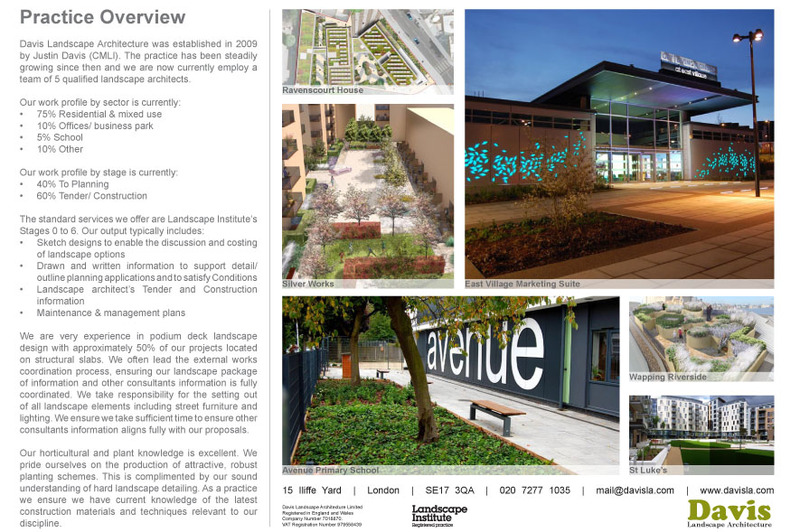 It is particularly useful in damp sites and is tolerant of urban pollution. 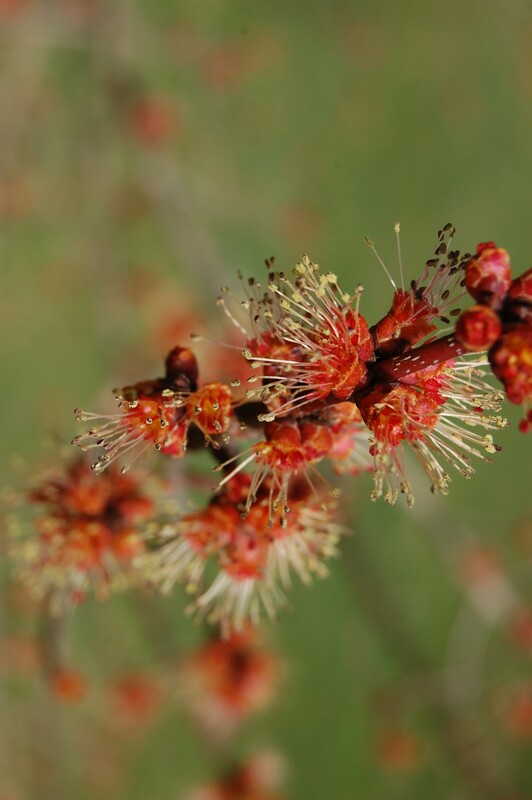 Ecologically, Acer rubrum flowers are attractive to Lepidoptera and the seeds are eaten by a variety of mammals. The variety Acer rubrum ‘October Glory’ has been awarded the prestigious Royal Horticultural Societies annual Award of Garden Merit in 1993. 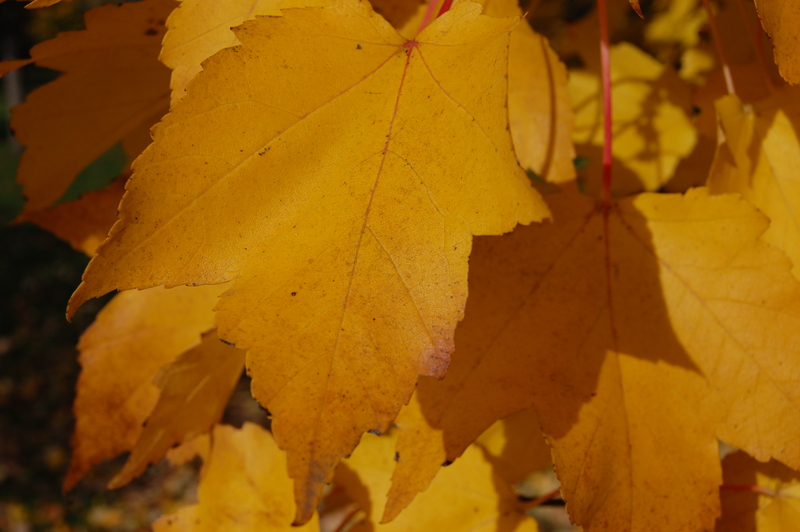 Acer rubrum will tolerate most soil types and pH. It will tolerate a wide variety of soil moisture content, including poorly drained. Acer rubrum requires little maintenance.